Buy Steam Wallet Codes and pay using your Dialog mobile number. There's no credit card, registration or login required, and you will receive the code immediately after completing your payment. It's the fastest way to top-up your Steam Wallet! 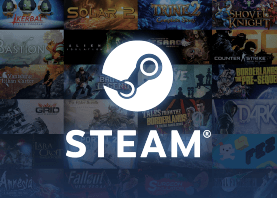 Buy Steam Wallet codes online! You're just seconds away from buying a USD Steam Wallet code! To complete your purchase, simply choose the voucher denomination that you want, and enter your email address. You'll then be asked to enter your phone number to receive a one time password by SMS. Complete the payment and you will receive your Steam Wallet Code immediately. Easy enough? Contact us 24/7 with any questions at [email protected] or visit our Facebook page.